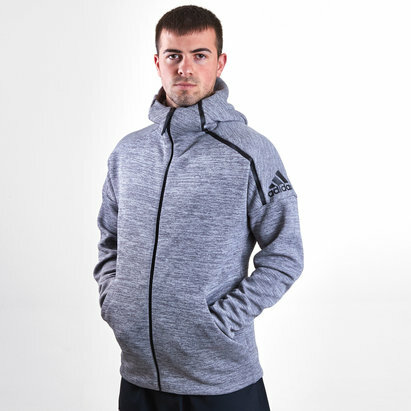 Stay focused during any physical activity with this ZNE Full Zip Hooded Training Sweat in Heather and Night Legend Ink from adidas. 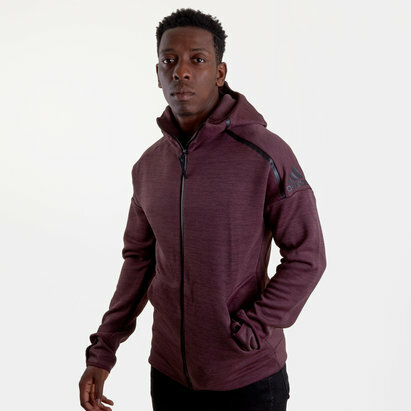 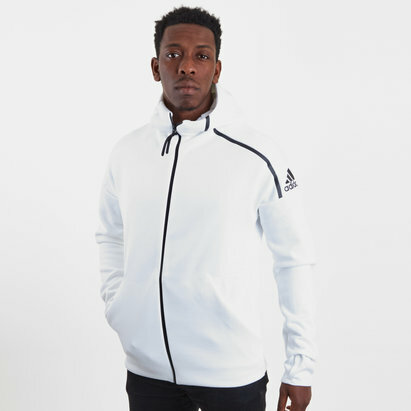 Made from heavyweight fabric, this track jacket features a dual-layer hood and high funnel neck to help you stay concentrated. 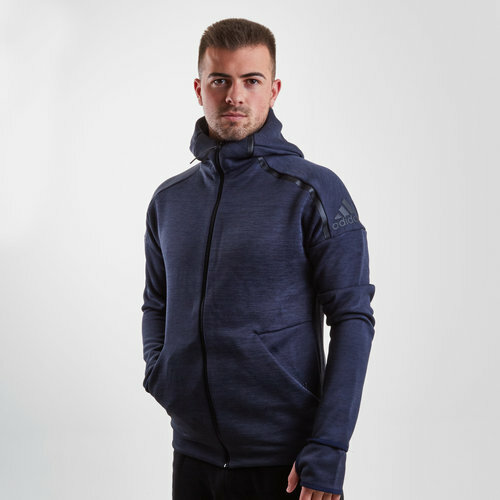 The pre-shared sleeves allow for full freedom of movement. 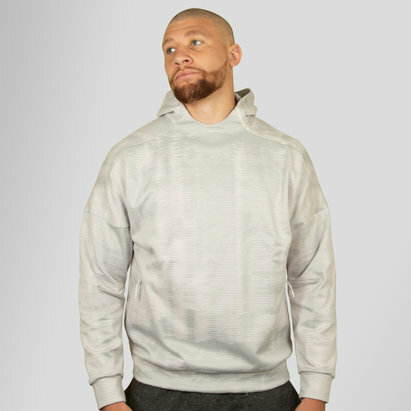 The hood is large enough for you to wear headphones and the high neck let you hide away from anyone and anything all to allow you to stay focused. 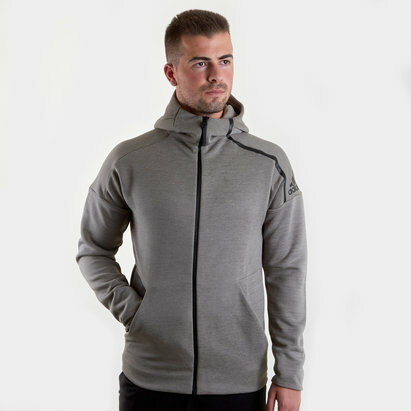 This sweatshirt comes with zip pockets so you can lock away any valuables. 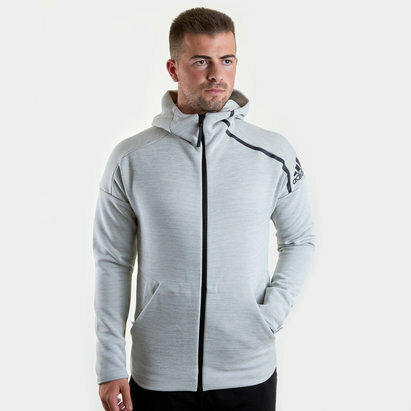 Get your head in the game with this Full Zip Hooded Sweat.